Are you thinking of changing the locks on your door? What is the main purpose of a lock? Locks keep you and your family safe from outside threats. But like all other things, locks do bear the daily wear and tear. Over the time, they become inefficient and cause problems for you. You might need lock installation service of a locksmith. Most people do not change their locks until they break or the lock gets jammed. It is a very inconvenient situation that compromises the security of your home. There are several reasons for changing the lock of your door. Read further to know why you must change locks of your house. The most common reason to change locks is broken locks. With the passage of time, locks can get broken and they can’t keep you safe anymore. Another reason for changing lock is if you lost your key. For instance, you lost your key and your name tag and address on it. This is a critical situation and a huge security risk. You will immediately need a locksmith that offer lock change service. Most people don’t change the locks of the house when they move in a new house. But it is highly recommended to change all the locks of the house. This doesn’t mean you don’t trust the new owners but it is good to be safe than sorry. Even if you trust the old owners, they might have given a spare key to a neighbor or relative. They cannot be trusted. You can rekey the lock so the old key will not work. 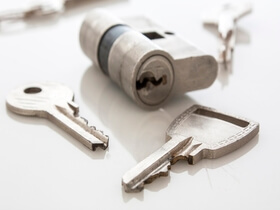 You might need a locksmith who offers rekey service. In this way, you prevent someone from entering your house. There are various locksmiths service providers in the market. One of the best among them is Chiko’s Locksmiths. We are offering a fast and reliable mobile key service. Our mobile units are fully stocked with the most advanced supplies and tools. We will immediately transfer your information to our nearest expert for fastest response time. We, at Chiko’s Locksmiths, aim at getting your life back on track quickly. Our technicians have years of experience and can fix any of your problem in the shortest span of time. 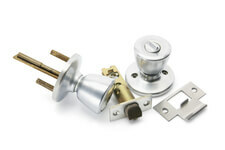 Moreover, we can install new locks without any difficulty. Our professionals are highly skilled and trained to finish any job in the first attempt. We can easily work with any type of the lock. If you need suggestions on the right type of lock, our experts offer recommendations as well. We have complete knowledge about every type of lock. Chiko’s Locksmiths is the best choice when it comes to your locksmith needs. We offer the best services at affordable prices. Whether you need to change a lock or rekey a lock, we offer the best lock change service. So call us today for all your locksmith problems.